In the past, we have talked about ways to diversify your income with digital products and the importance of doing so, and so in today’s episode, I want to give you some practical ideas on exactly what to sell online. But before we start, I wanted to let you know about a special training that’s coming up. The very first and most obvious thing to sell online is digital downloads. By digital downloads, I mean printables. Whether that’s something cute, like a decorative quote or some pretty calendar pages, it’s something your audience can print out and use in their home. You could sell printables on Etsy or from your own site using software like SendOwl. Ebooks are another popular digital product. 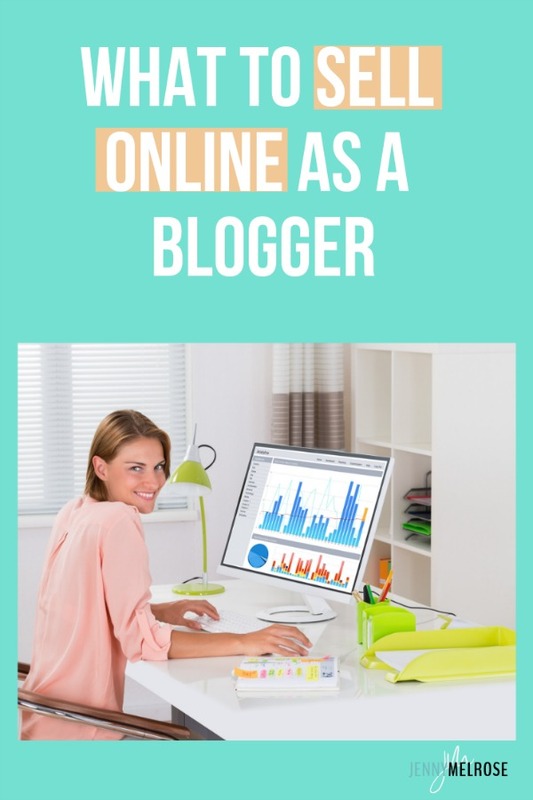 A lot of bloggers take content that’s already on their site and they combine it into an ebook. And there’s nothing wrong with that. But I want you to think beyond doing that. You need to create something that teaches your audience something specific or that solves a specific problem that they have. When it comes to selling books online, you can sell your ebooks through SendOwl but you can also use the selling option on Amazon. You could even self-publish and therefore have a print version available. As a former teacher, I love selling courses online. And it doesn’t have to be a blogger-to-blogger type product. I have clients who have created courses on how to decorate, how to become an advanced baker, and more. You need to think about any area where you could lay out a step-by-step process and you can create a course around it. There are several options for selling courses online such as my favorite, Teachable. I’ve personally been using Teachable for the past 3 years and I love it. The interface is user-friendly and as an administrator, I can go in and check on the progress of my students. There are other options as well, including Thinkific and Kajabi. I not only sell courses, but I also offer coaching services. And since I do both, I use a cart system called Samcart. I link my SamCart to my Teachable account to give my students an easy way to check out. If you are an expert in a particular niche and can help others in that niche to grow their own businesses, you can offer coaching to those people. With coaching, you could even use something as simple as Paypal to invoice your clients and receive payments. Keep it as simple as you can. Because I have several different types of products, I decided to go through a service that could handle everything I sell. This is another product that I sell. I have my Mastering Your Influence membership site which you definitely want to check out if you aren’t a member. Membership sites are all the rage right now for a couple of reasons; it’s recurring revenue for you and consistent teaching for your members. Some people want to pay to have more access to you and to get some hand-holding as they work through whatever your membership is about. You can use Kajabi for a membership site but you can also use a plug-in called MemberVault. I actually use Teachable to house all of the content for Mastering Your Influence but I host the community forum elsewhere. You have a lot of options for membership sites. If you don’t want to take the time to coach people on an individual basis, you can set up a mastermind or group coaching program. There are many niches and businesses where a group approach can work. You could coach a group of people on a health journey or in dealing with children with specific special needs. Figure out what problem you can solve for your audience and decide how to do that in a group format. Boom, you’ve got an idea for a mastermind or group coaching program. 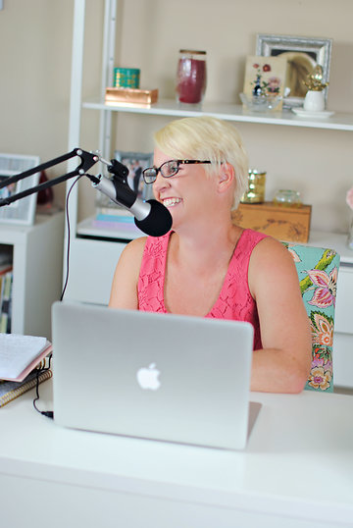 Again, go back to episode 96 where I talk about diversifying your income and notice the “why” behind what you’re doing. You aren’t limited to digital products when deciding what to sell online. Maybe your audience needs something specific from you so you decide to create it. Let’s look at a couple of examples from my own clients. My first client has a fitness blog. This includes a membership site but she also creates her own workout programs using a certain type of step. She actually designed the step she uses and had it made for her. She owns the rights to it and so she was able to list that step on Amazon and sell it through that platform. The next client I want to talk about runs a chicken blog. She learned from her own experience raising chickens that they enjoyed a certain type of feed. So she began creating the feed that they preferred and she sells that to other chicken owners. The chicken feed client sells her product through Amazon as well. Maybe you’re more the artistic type and you create jewelry or you paint signs for home decor. Etsy would be a great place for you to sell that type of product. Most people are very familiar with Etsy which makes it a great choice for selling online. This is an idea I am super excited about! We are talking about t-shirts, mugs, tote bags, etc. The reason I am so pumped about this idea is because we have created branded t-shirts for every person who attends Influencer Entrepreneurs Academy. These shirts will be made in various forms such as t-shirts, sweatshirts, tanks and listed in an online shop along with mugs and other cool items. Shopify would be a great platform to sell this type of branded product. Workbooks can be very successful products to sell online but some people might not like the word “workbook” so you can use the word “binder” instead. If you have an organizing or cleaning blog, you could create a decluttering workbook or binder for your audience. You could create an organizing binder. If you have a personal finance blog or a deal blog, you could create a budgeting binder. Don’t think this doesn’t apply to you if you aren’t a blogger-to-blogger business. What are you teaching your audience? Are you a food blogger? Maybe you can teach your audience how to bake certain types of cakes. I have a client who sells essential oils. She includes video training on how to make your own blends using those essential oils. Some of your readers will be happy with blog posts or ebooks while some of them will want an audio or video component. If what you are teaching can be taught on video, consider doing a video training to sell to those folks who want to learn that way. Do you use a template for budgeting or organizing? Have you created an Excel spreadsheet that does everything for you as you go along? If you use spreadsheets, are there some simple spreadsheets that you could create that would simplify a process for your audience? I know a lot of people who avoid live trainings simply because they’re too scared to think about going on live camera and interacting with their audience. But what if you did an actual live cooking class? You could do this in a closed Facebook group or you could send out a Zoom link for people to join. You have to think outside the box. 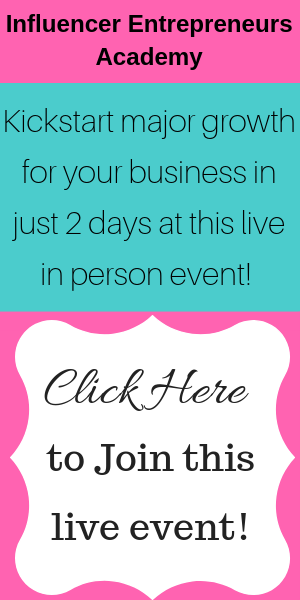 If you can think of a live training that you would watch, could you also offer it? The important thing is for you to not get caught up in the traditional methods of selling. You have to be willing to try new things to find out what works for your audience. What is your audience asking you for? How can you deliver what they want in order to solve their problems? Listen to your audience and give them what they want. Go back to episode 112 and listen as I tell you how to use Instagram stories to figure out what products to create. Diversifying your income is crucial so take the time to figure out what your audience needs and make it for them! Show us how and where you’re listening to the podcast. Take a screenshot or pic and tag @jenny_melrose on your Instagram Stories.